My wife and I contracted with Ecohouse to engineer and install a 7.015 kW PV Solar Array on our home in the Fall of 2015. Our experience with this great company simply could not have been better! Solar arrays are very complicated systems that are best left to the expertise of professionals like those at Ecohouse. Ecohouse was very honest and upfront about all costs and installation procedures. They also took responsibility to ensure that it would be safe to do a roof layover instead of replacing our current roof (simply due to age) which saved us a ton of expense. If I had to do it again, I wouldn’t change a thing. Fortunately for us, we believe we are in our forever home so we look forward to enjoying our 20 kW system for years to come. 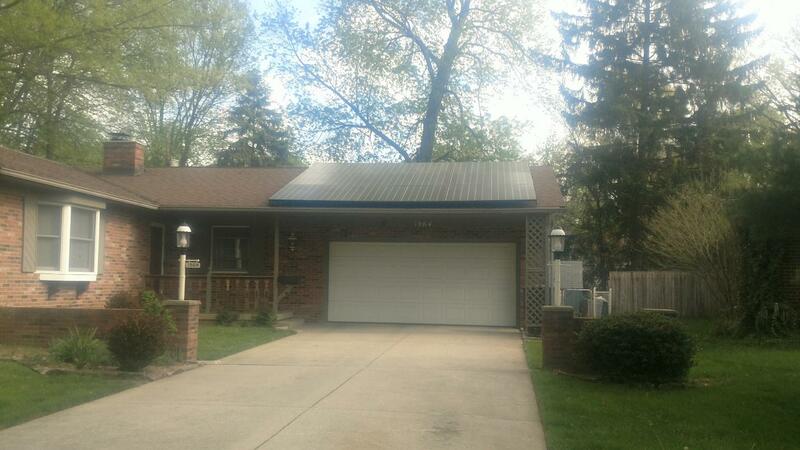 Ecohouse Solar team came to our home and reviewed our options and savings possibilities. They steered us in ways to save even more money on financing and how soon the panels would pay for themselves. We are happy with the ongoing support from Ecohouse Solar. We are excited to reduce our carbon footprint and save money in the process. Going solar even for a small installation requires some homework. Kevin was very patient as I worked through mine and really helped in arriving at a solution that took into account both the technical and aesthetic requirements we had. I would recommend Ecohouse without hesitation. Our family had a top notch experience with Ecohouse Solar and would recommend them to anyone interested in purchasing a solar electric system. Everyone on their team–sales, construction, and ownership–was so friendly and knowledgeable. They were able to answer all our questions, design a custom system based on our input, and conduct a quick installation. Thanks for making our solar dreams come true! If you’re here you’ve already started your research on home solar power systems and realize there is a lot to learn and consider in choosing a system. Ecohouse was very helpful as we went through this. More focused and professional than anybody else we dealt with. Importantly they quoted and delivered exactly the system we settled on. I would unhesitatingly advise you to include them in your search. Ecohouse Solar was fantastic to work with, from the start Kevin was quick to visit the site, prepare a quote for review, and answer our numerous questions. No matter how familiar you are with solar power, they will make you feel informed and comfortable with the whole process. They handled everything from start to finish, including permits and the City’s strict architectural review process. Once they cleared those hurdles, they worked hard to install and have the system up and running in order to qualify for the 2017 tax year. Their staff is extremely professional and hard working, working through cold weather and even on the weekend to get the job done as promised.